MAKERERE – The Vice-Chancellor of Makerere University, Prof Barnabas Nawangwe, on Monday agreed to meet with the striking staff so as to resolve the standoff that has paralysed business at the public institution. 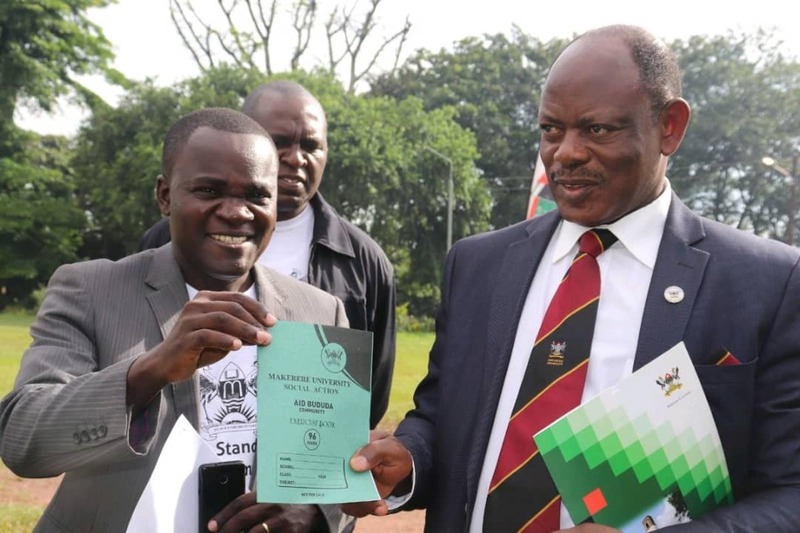 Prof Nawangwe, who met and shook hands with Dr Deus Kamunyu, the chairperson of the Makerere University Academic Staff Association, whom he suspended last month, admitted that his high handed approach to the issue may not end the strike. “I just want to say, that we have agreed today that we begin a new chapter of mutual respect. We have also agreed that there are issues that we need to discuss and discussions will continue and I want to thank Kamunyu for accepting to interact with the committee, I have encouraged him to be frank and tell the committee where things went wrong,” Prof Nawangwe said during a general assembly which was called by the executives of the staff associations. “I pledge that we need to lead by example. The country and the continent looks at us, so I affirm that we as management have committed to begin a new chapter and the dialogue to create total harmony and mutual respect so that our university can rise higher,” he added. Prof Nawangwe’s remarks are a total departure from his previous position where he had insisted that he could not meet the striking staff over grounds that their assembly which led to the demonstration was illegal. He also appealed to the staff to resume teaching. “As the VC, my appeal to you is to return to work. Half of the staff are teaching and half is not working. This is not good for our parents and our students so as we should report to work as we continue the dialogue and looking for solutions,” Prof Nawangwe said. However, the staff voted to maintain their strike, insisting that management should first uplift the suspension of the three leaders and allow negotiations on other demands to prevail. The staff also want the university to allow Ruth Eteu to represent MASA on the university council. The chairperson of Muasa Edward Mwavu said that they have given the university up to Thursday to pronounce themselves on the two demands the staff are asking for before they call off the strike. The staff have called for another general assembly to forge a way forward. “We have zeroed down to two demand we want the university to address before we call off the strike. If the university lifts the suspension of our leaders and allow Eteu to represent us on council, we shall call off the strike and allow negotiation to continue on other demands,” Mr Mwavu said.